Have you been thinking about setting goals in your marriage but you're not sure where to start? Perhaps you are already setting goals but you want to take it up a notch? Or maybe you aren’t even sure that setting marriage goals is worth your time. Either way, you are in the right place! One question we are often asked about marriage is: How are you two able to stay so close after being married for nearly two decades? And we let them know how setting goals in our marriage (along with a lot of love, grace, and prayer) has been the lifeblood of making sure we stay close in every season of life. 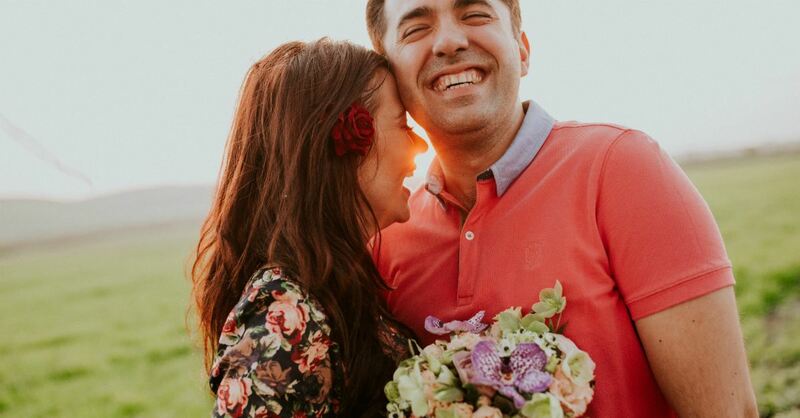 In coaching and working with thousands of couples around the world, we’ve found that very few of them make goal setting a priority in their marriage. As we’ve dug deeper to see what the main reason for so many couples neglecting to set goals for their marriage, we’ve found they simply don’t know how. In addition to lacking the know-how many couples do not see the benefit of goal setting in their marriage. With the new year coming up, what a perfect opportunity to learn how to set seasonal goals in your marriage. We hope to shed some light on the importance of being intentional about improving your marriage through setting seasonal goals as well as showing you how. Seasonal goals are goals divided up by the seasons. For instance, you set goals specific to the seasons of winter, spring, summer, and fall. Seasonal goals are often referred to as quarterly goals. This means you will set goals for each season, or quarter of the year. Seasonal goals are especially helpful when you are first starting out as it gives you a way to visualize the “big picture” goals without drowning yourselves in overwhelm. With a relationship as intimate as marriage, you need to take special time and attention when tending to it. Seasonal goals are a great place to start when looking to improve your marriage (which should be a lifelong quest!). What is the purpose of setting seasonal goals? The main purpose behind setting seasonal goals for your marriage is to break your yearly goals down into more “bite-sized” pieces. Oftentimes when couples sit down and think about setting goals for an entire year it is very intimidating to them. By breaking the goals down to 4 seasons, you are able to simplify the process and are more likely to follow through. Another reason many couples enjoy setting seasonal goals is because they are able to adjust their goals to their family’s rhythms. For instance, if your family travels a lot during the summer, you can set realistic goals around the time you’ll have available to work on them. On the flip side, you may have a lot more time in the fall when the children go back to school, so you can set some goals that will be a little more time-consuming. How do you set seasonal goals? Setting seasonal goals can be as simple as writing out the months for each season and assigning an overall theme, or as complicated as being a small part of a 5-10 year plan. How you use them is going to be dependent upon your marriage goals and your reasons behind setting them. Let’s start by taking a look at setting goals by season. Below are some sample goals you could set and a few ideas to help you be sure you are setting the right goals. Before we look at the sample seasonal goals, first let’s figure out some ways we can determine the best goals to be setting for our marriage each season. What is one thing we really need to work on in our marriage? How can we use the next three months to work towards improving in this area? What amount of time can we realistically each give to working towards this goal every day/week? By starting off with these qualifying questions, you will get to the heart of what your marriage needs most. Be sure to consider one another’s input equally as you both need to have your hearts set on the same goal in order to get there. By asking these three questions you are well on your way to creating realistic goals to work towards together. Let’s look at some sample seasonal goals and the plans to achieve them. The samples below are to help you get your ideas flowing. You will learn to adapt them to what best suits your marriage and will become a pro at setting goals together in no time! If you want a done-for-you resource, this Goal Setting Planner for Couples is great to help you get started and stay on track! Goal: Increase our quality time together by having stay-at-home dates when the children are in bed. Plan: Each Friday night we will plan a fun date at home after the children are in bed to include a romantic dinner, dessert, and a conversation over coffee. Goal: Save $2,500 for our vacation fund. Plan: Every week we will set aside $208.33 from our paycheck into our savings account. By doing so we will have saved $2,500 by the end of June. Goal: Spend more time in God’s Word together each week. Plan: Every Tuesday and Thursday night we will read 1 chapter of the Bible together and discuss it. Goal: To increase our time praying together as a couple and also as a family. Plan: Every night at 8:30 pm we will pray together as a family. What seasonal goals should married couples be setting? Start using a Couple’s Goal Setting Planner together. Find more ways to spend more quality time together. Make it a priority to pray together more often. Make date night a priority. Reevaluate and set a new budget. Make more time for intimacy with one another. Work through a couple’s devotional. Serve together in your church and community. Have more focused conversations together. The list above is just a start; figure out what the most important things are to you and your spouse and go from there. There is nothing more exciting than building a stronger marriage in every season of your lives! How do seasonal goals help make each year your best? There are a variety of reasons setting seasonal goals can help make each year of marriage your best. One of the main reasons is that your marriage will continue to grow stronger throughout the year and into the future as you continue to work towards a common goal. Teamwork in marriage is crucial as you face many different challenges throughout the course of your life and marriage. Matthew 18:19 says, “Again I say to you, that if two of you agree on earth about anything that they may ask, it shall be done for them by My Father who is in heaven. This verse gives us the promise that as you prayerfully set seasonal goals together for your marriage that line up with His Word, God will bring it to pass. If that doesn’t bring you joy, we don’t know what will! But the key to the promise is that you are both in agreement with your goal and that it lines up with God’s Word. So make sure as you are setting your marriage goals you are finding Scriptures to stand on. As you and your spouse start to consistently set intentional marriage goals and create the plans to get you there, you will set yourself up for having a better marriage year after year. There is nothing better in life than having a flourishing marriage with God at the center, and in turn a flourishing family. Michael + Carlie Kercheval have been smitten by one another for over 2 decades. They were college sweethearts before marrying one another in June of 2000. Mike + Carlie have 3 children and are currently in their 14th year of homeschooling. They are the masterminds behind the course, Goal Setting for Couples, and co-authors of the best-selling marriage devotional: Consecrated Conversations. They founded Fulfilling Your Vows™ together in 2012 and have since reached hundreds of thousands of couples around the world for Christ.